"A temple with no beggars outside will have the God inside," he doesn't look at it with hatred. The statements which were given by me yesterday were just my funny way of saying whatever he has had to say and were not meant to hurt his fans in any way. If that was the intention, it would obviously hurt me too. Wouldn't it? (Look at the first line). I received this same question, gave the same answer with this same smile last month and had no controversial problems arising. But because of the stage and the place I said it on yesterday, I can sense that it has raised a political debate. I will definitely support both if they wish to enter politics because both of them have no gain from politics. But having a say on it is an individual's freedom. 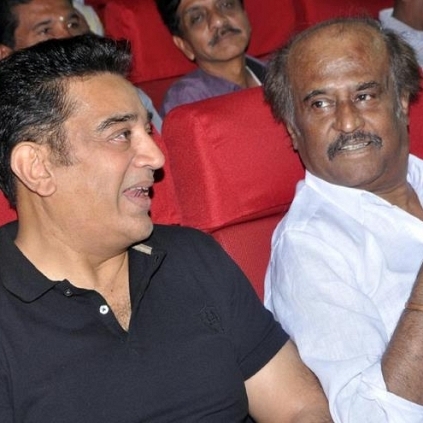 Since I understand the fans kindness towards Rajini, I am giving this clarification with all due respect. I pray the almighty that Rajini sir prays to, that the much awaited day (political entry day) which we have all been waiting for a long time, comes soon.”, concluded Parthiepan. Famous Hollywood couple go in for a split after 8 years! Just in: Shah Rukh Khan opens about GST. Details here. Official clarification from Simbu's side regarding the fake Oviya marriage tweet! BIGG BOSS: 100 Crore Defamation Case Filed Against Kamal Haasan? People looking for online information on Kamal Haasan, R Parthiepan, Rajinikanth will find this news story useful.